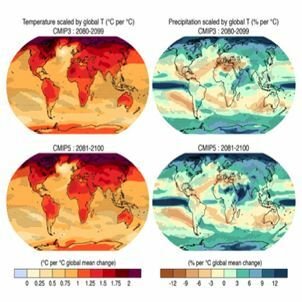 In 2007 the Intergovernmental Panel on Climate Change (IPCC) asked the scientific community to develop new scenarios for the Fifth Assessment Report. 3 IPCC, 2013: Climate Change 2013: The Physical Science Basis. Contribution of Working Group I to the Fifth Assessment Report of the Intergovernmental Panel on Climate Change. Contribution of Working Group I to the Fifth Assessment Report of the Intergovernmental Panel on Climate Change.